Congratulations to the teams behind Nae Pasaran and Time Trial for their newly announced BIFA nominations for Best Documentary and Best Sound respectively! We are delighted to have two films from the house of SDI recognised by the BIFA voters. 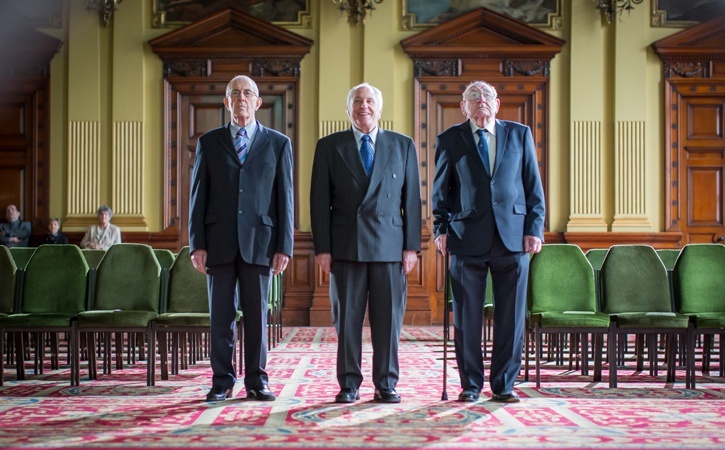 Nae Pasaran began life in 2013 as a Bridging the Gap short, which you can watch here, but director Felipe Bustos Sierra felt there was more to explore in this incredible true story of the Scots who grounded half of Chile’s Air Force, in the longest single act of solidarity against Pinochet’s brutal dictatorship. The feature had its World Premiere this year as the Closing Gala film at Glasgow Film Festival, screening to three sold out screens in the Glasgow Film Theatre simultaneously. The film is released in cinemas on Friday, find a screening near you! In Time Trial we follow professional road cyclist David Millar as he attempts to make it to his last ever Tour de France. By using unprecedented new techniques to capture the atmosphere and experience of professional cycling Time Trial brings you as close to the race as possible. CJ Mirra‘s sound design played a crucial part in that and we’d like to thank him and the rest of the sound team for their work, the nomination is hugely deserved. Time Trial is available to rent or buy online in the UK now. Check out the full list of BIFA nominations.